Send all kinds of HTTP requests! Test and iterate on your own APIs or explore new ones. Paw has a full-featured visual editor and HTTP toolset. Describe your API while you test it. Paw natively supports JSON Schema and is fully compliant with Swagger and RAML descriptions. Keep everyone on the same page. Synchronize your API test configurations, make conflict-free changes and get real-time updates. 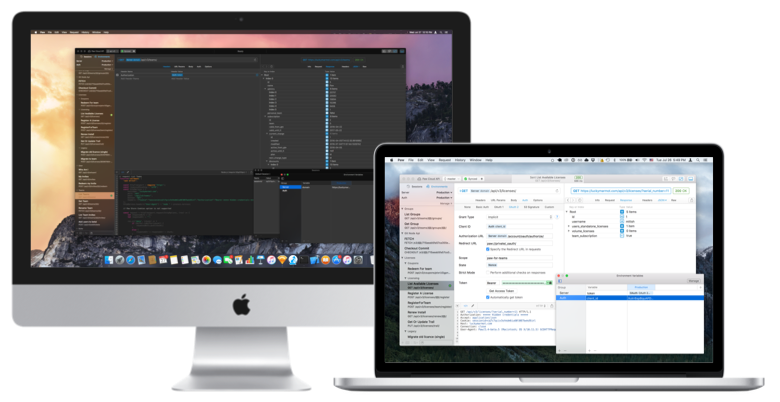 Building great software is hard, and developer tools should be helping you without the headaches. Paw is exclusively built for macOS, so you should easily get the hang of it. Every feature is built intuitively with quick mouse or keyboard shortcut access. 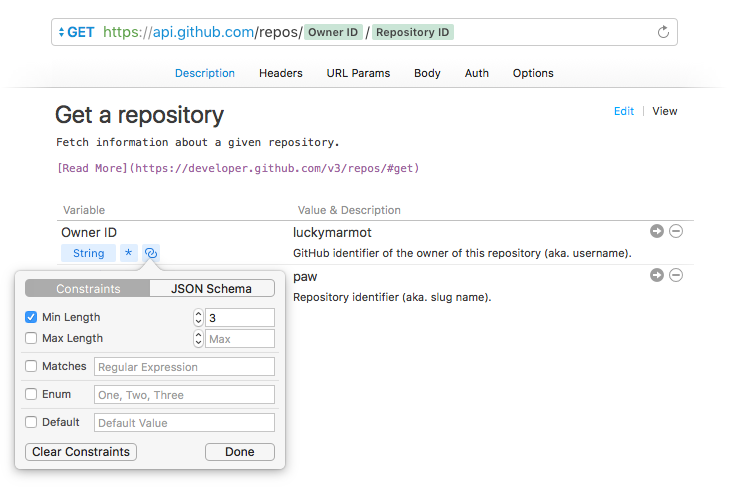 Visually build your API requests and describe each parameter through textual descriptions, typing, and constraints. Paw natively supports JSON Schema and can import and generate fully compliant Swagger, RAML, and API Blueprint description files. Volume discounts are available, see pricing options. Also we offer 30% off for students.